Home-for-All in Rikuzentakata. 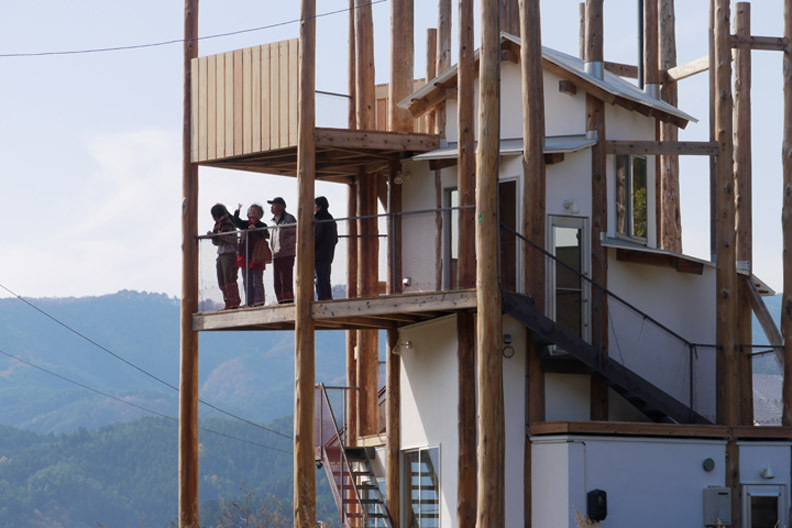 Courtesy of Toyo Ito & Associates, Architects, Photo: Naoya Hatakeyama. Japanese architect and 2013 Pritzker Prize Laureate Toyo Ito presents a public lecture entitled "Architecture After 3.11" on the evening of October 15, 2013. The lecture is given in conjunction with the exhibition News from Nowhere: Chicago Laboratory at the School of the Art Institute of Chicago's Sullivan Galleries on view September 20–December 21, 2013. The exhibition couples the work of South Korean artists Moon Kyungwon and Jeon Joonho with that of visionary architects, such as Ito, as well as with designers, scientists, philosophers, and other thinkers in an interdisciplinary investigation of the world as it is today by imagining a post-apocalyptic future. In an additional program the morning of October 15, Ito engages in a public conversation with a group of Chicago and international figures to consider what changed perceptions are required to bring us to a different state of consciousness and imagine the world and Chicago in the future. 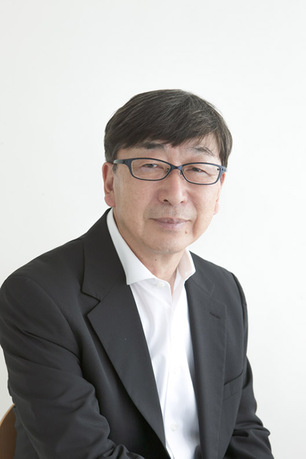 Visionary architect and 2013 Pritzker Prize Laureate Toyo Ito has been working on various public and private projects in Japan as well as internationally since the founding of his own office in 1971, Urban Robot (URBOT), which was renamed Toyo Ito & Associates, Architects in 1979. Since the completion of Sendai Mediatheque (2001), one of his most acclaimed works that has influenced younger generations of architects worldwide, Ito has explored architecture of the twenty first century that goes beyond modernism's purity and machine analogy, transforming organic geometries into life forms that reflect nature. Many of his completed projects have been awarded national and international honors. He received the Golden Lion for Lifetime Achievement from the 8th International Architecture Exhibition at the Venice Biennale in 2002 and the Royal Gold Medal from the Royal Institute of British Architects in 2006, as well as this year's Pritzker Architecture Prize. Based in Seoul, Korea, Moon Kyungwon and Jeon Joonho recently participated in Documenta 13 in Kassel, Germany, and the Gwangju Biennale in Gwangju, South Korea. They received the 2012 Noon Award Grand Prize of Gwangju Biennale; the 2012 Korea Artist Prize, co-organized by the National Museum of Contemporary Art, Korea and the SBS Foundation; and the 2013 Multitude Art Prize by Multitude Foundation. News From Nowhere: Chicago Laboratory is the first exhibition in the United States devoted to their work. Mary Jane Jacob is professor and executive director of exhibitions and exhibition studies at the School of the Art Institute of Chicago and the organizer of the exhibition News from Nowhere: Chicago Laboratory. A curator who has organized hundreds of exhibitions, site-specific and community-based projects, and public programs, Jacob actively works with artists to expand the practice and public discourse of art as a shared process. Founded in 1868, the Visiting Artists Program is one of the oldest public programs of the School of the Art Institute of Chicago. Formalized in 1951 with the establishment of an endowed fund by Flora Mayer Witkowsky, the primary mission of the Visiting Artists Program is to educate and foster a greater understanding and appreciation of contemporary art and culture through discourse.